Syria has been dominating the headlines of international media channels for quite some time now. It seems the conflict that has been going on for two years has little left to astonish us with. Nonetheless, amid the political debates and discussions on the appropriate international response to the civil war in Syria, the human side of the story has perhaps not always received as much attention as it deserves. Even though the conflict is mainly perceived as a political issue, it has also evolved into a large-scale humanitarian crisis. As a direct outcome of the civil war, there are currently 4.5 million internally displaced people and two million refugees. While the end of the conflict does not seem to be in sight, a growing number of people are gathering in “temporary” refugee camps, waiting for a chance to return home. 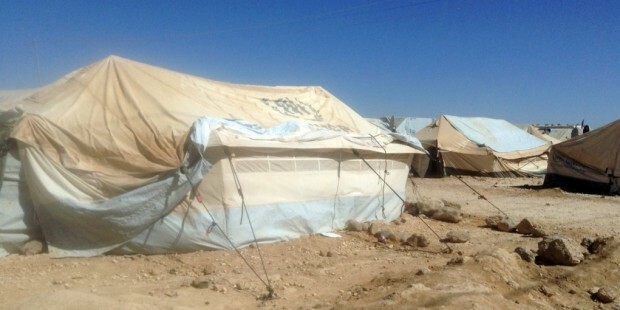 Camps like these can be found in all Syria’s neighbouring countries. The biggest one is situated in Jordan. The number of Syrian refugees who have entered this neighbouring state is more than 500,000. From these Syrians, about 130,000 live in the Za’atri refugee camp, which makes it the fifth largest “city” in Jordan and the second largest camp in the world. About half of the population in this camp is less than 18 years old. These boys and girls left everything they knew in Syria and went to Jordan with a new distorted understanding of life. Life that is full of violence, frustration and hopelessness. In these conditions it is clearly difficult to develop or maintain high ambitions and expectations for the future. One of the indicators of this attitude is the number of children who attend school. Statistics show that from all the registered school-aged refugees only 23% go to school. Even though there is a lot to be concerned about, it is a worrying figure that might cause long-term implications that could last decades after the end of the conflict. Not only will an entire generation grow up with psychological scars, they will also have great difficulties with coping in the job market. This issue is recognised and UNICEF is cooperating with the Jordan Ministry of Education in order to manage official schools in the camp. This, unfortunately, has not proved to be enough to get the school-aged camp residents to the classrooms. 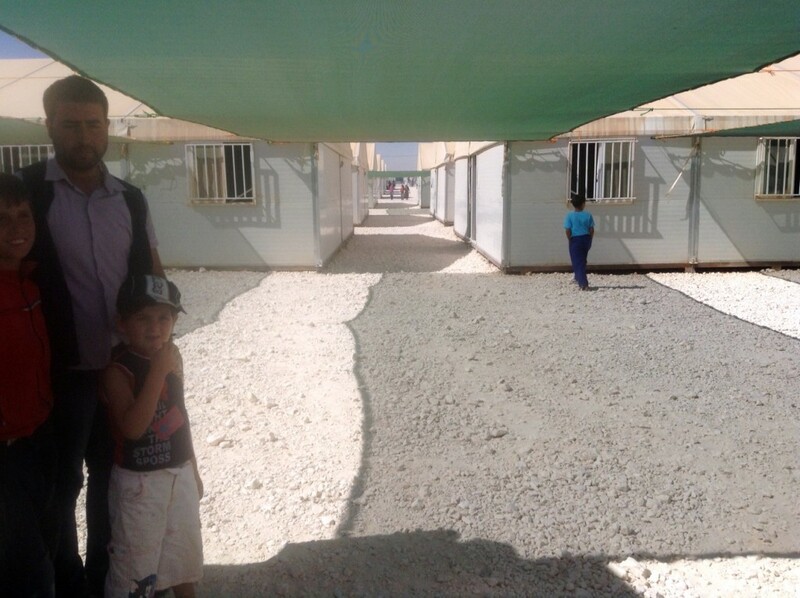 In addition to other international humanitarian agencies operating in the camp, an Estonian NGO called Mondo is working in Za’atri to alleviate the situation of the young Syrian refugees. The project which focuses on the education sector is funded by the Estonian Ministry of Foreign Affairs and implemented in cooperation with Finn Church Aid and Relief International. This project consists of a number of activities that are aiming to empower the youth and benefit the children in Za’atri. One of the activities this Estonian NGO is involved in is setting up a computer lab in order to teach young people skills that are valuable in the job market and thus, provide them with knowledge that can have a great impact for their future. Computer literacy is taught as part of extra-curricular activities and all the successful participants will be given a certificate at the end of the course. In addition, computer classes are in high demand in the camp and therefore are a fantastic tool for making teenagers interested in attending school. 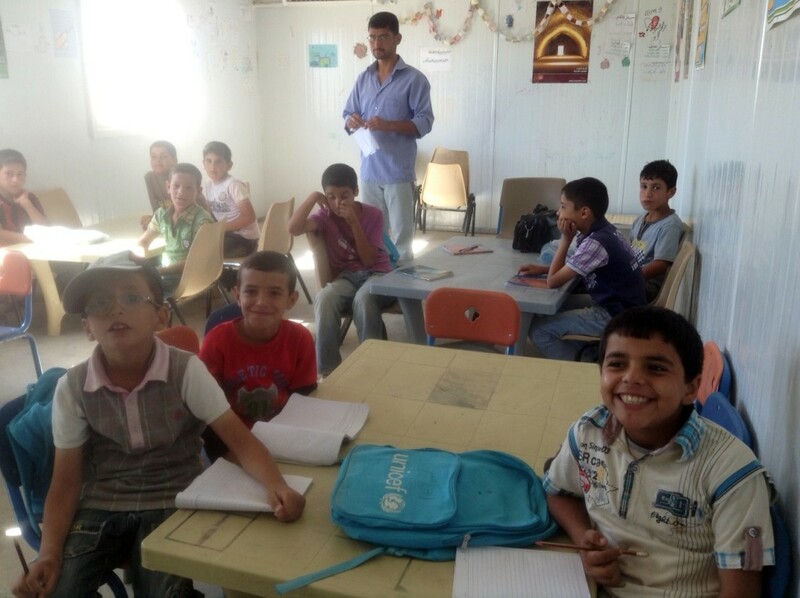 Mondo also helps develop learning materials for afterschool catch-up classes that support those Syrian students who are struggling to cope with the Jordanian curriculum. Learning materials are also provided for classes aimed at those children and teenagers who for different reasons have never had an opportunity to go to school and thus have to start from the basics. All these actions hopefully lead to an increasing number of Syrian refugee children who find that attending school is necessary. Only this way can they benefit from education and hence stand a bigger chance for a better future. A better life for them would also mean a brighter future for the region.